Our company is engaged in meeting the demand of Bogie Hearth Furnace timely and efficiently. We are one of the reliable Manufacturers, Exporters, and Suppliers of Bogie Hearth Furnace in Tamil Nadu, India. 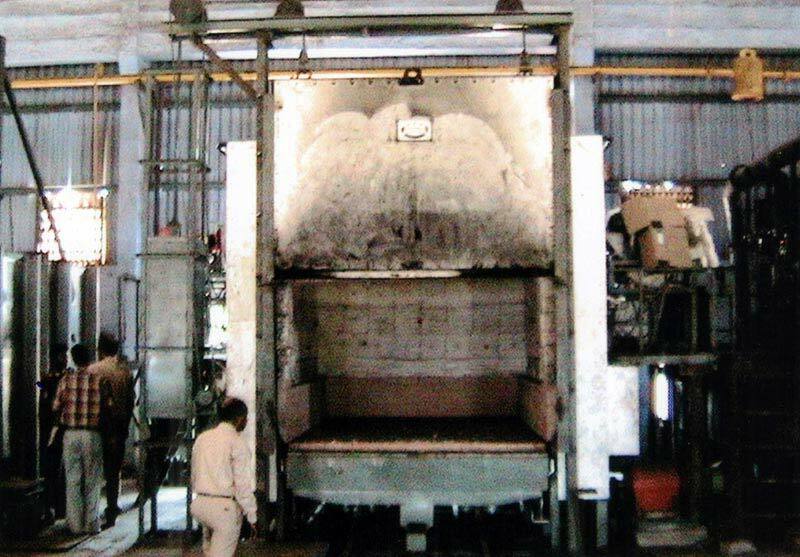 We offer Bogie Hearth Furnaces in a range of capacity that goes from 500kg to 25, 00,000kg. Moreover, our Furnaces can tolerate up to 11000°C (maximum). And, our Bogie Hearth Furnaces are extensively used in industries such as power generator, heavy fabrication, etc. Furthermore, we provide the Furnaces in different types: Electrical, Gas Fired, and Oil Fired. Note : The chamber size and heating capacity can be varied as per customer's requirement.